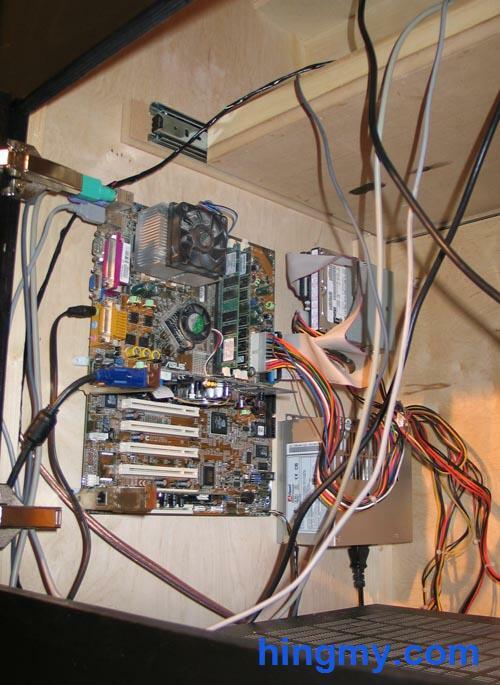 The arcade cabinet requires a fully functioning PC to operate. You can simply place a fully assembled PC in the bottom of the cabinet, or you can install the components separately. To power the different components of the PC, a power strip must be installed. Pin a generic power strip to the cabinet wall. 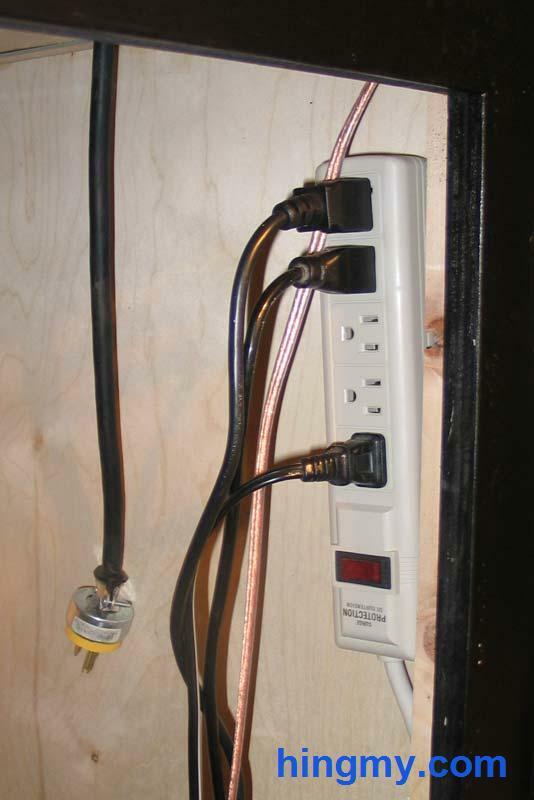 The power cord of the strip must be routed outside to connect the cabinet to a wall socket. The simplest solution is to remove the plug from the end of the cord, drill a hole through the cabinet, feed the wire through, and reattach the plug. The more elegant solution is to install a power terminal in a cutout. The one I selected even comes with a power switch. If you do not feel comfortable installing the components separately, you can place an assembled PC in the bottom of the arcade cabinet. You can still route the power to the front of the cabinet, but you will have to open the PC to do that. 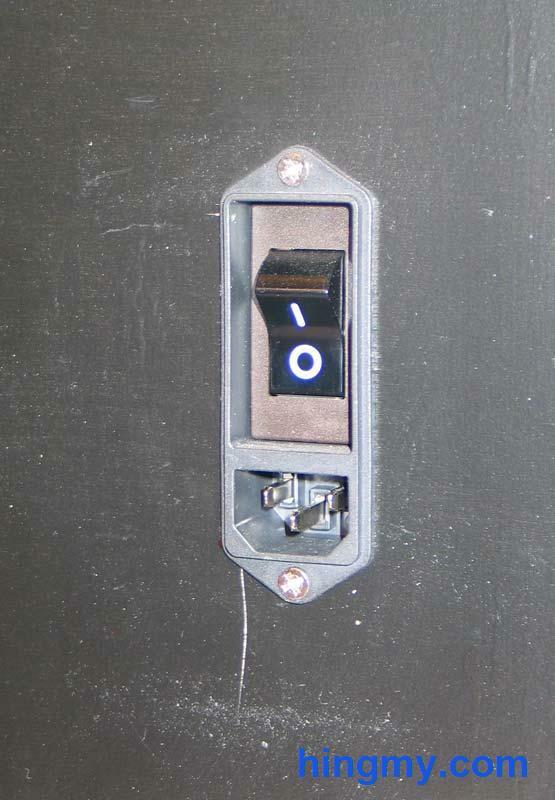 To do a custom install, pin the motherboard to the wall of the cabinet using plastic standoffs. Do not directly screw the board onto the wall. This could damage the motherboard in the long run. Attach the hard drive to the wall using a spare drive bracket. If you don't have one, build one from angle iron. Attach the power supply the same way. Route the power button to one of the buttons on the front. The power signal from a PC provides +5V power when the computer is on. This power can be used to light up an illuminated button. Make the necessary connection to the power supply and the hard drive. The sound signal from the PC must be amplified before sending it to the speakers. A small amplifier must be installed to do that. A small, low power amplifier that can be installed on the wall of the cabinet is the ideal solution. 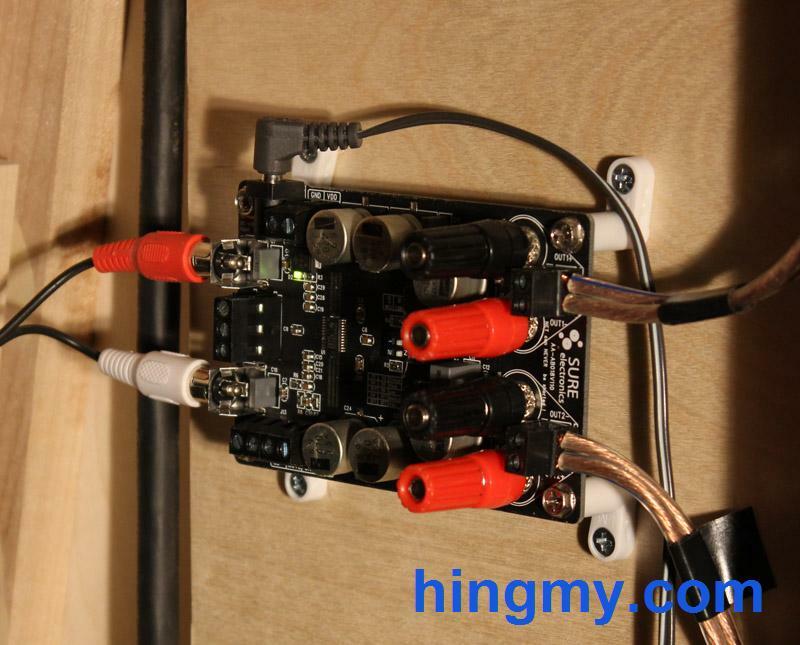 A small class-D amplifier board is the ideal solution. Alternatively you can install just about any amp in the bottom of the cabinet. As long as there is room and the amp won't overheat the cabinet, you can install it. 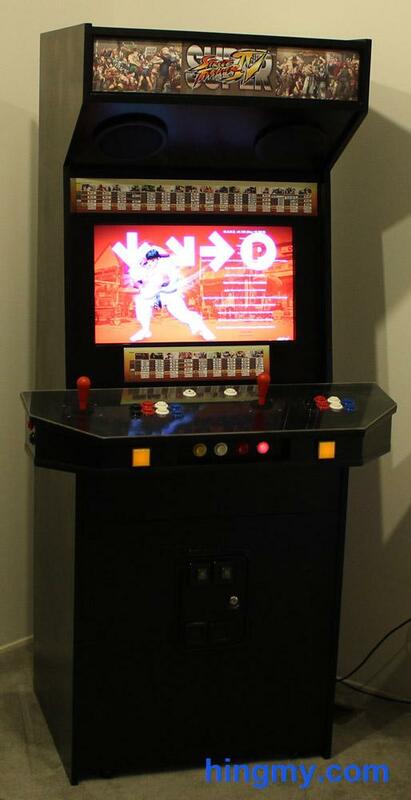 Installation of a computer in an arcade cabinet is not very different from installing a motherboard in case. The arcade cabinet is the case. The task only requires standoffs and screws.